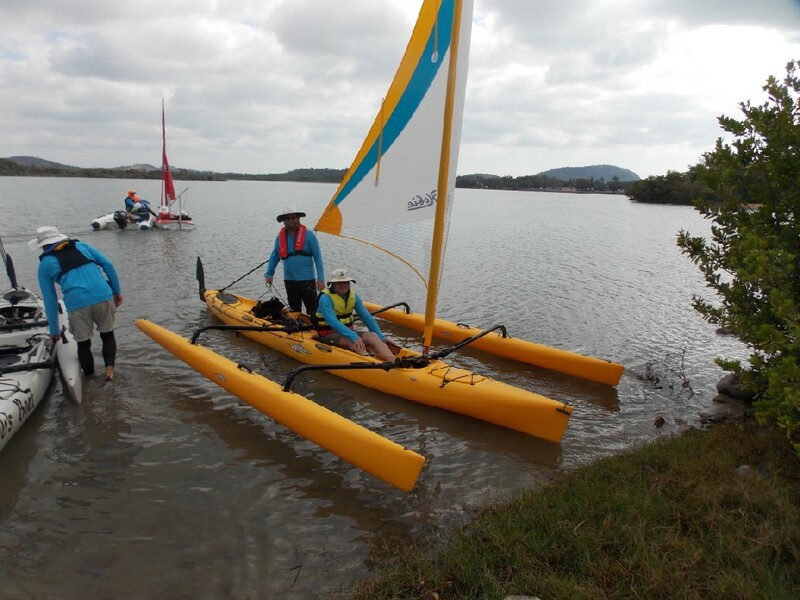 A new, bright yellow Hobie tandem islander has now joined the Sailability Capricornia fleet and has been appropriately named the ‘Banana Boat’. This brings the number of sailing boats available on any sailing day to a total of 7: 3 Hobies and 4 Access Dinghys. The new boat has been a big hit with boat sailors and skippers. Click here for a map of the Causeway Lake. Copyright © 2019 Sailability Capricornia. Powered by WordPress. Theme: Spacious by ThemeGrill.